Allison Ball, Arts Consultant. Trained as a classical pianist and composer in New York and Boston, Allison Ball began her working career as a professional musician and teacher. 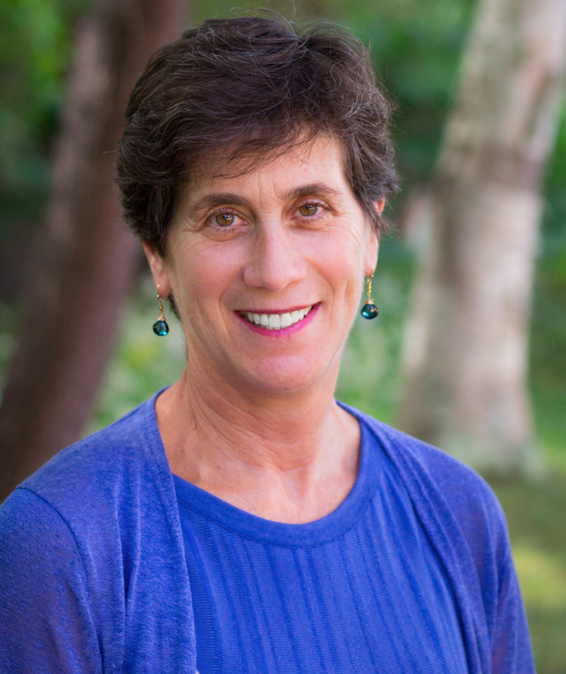 With additional interest in organizational leadership and higher education administration, Allison worked for more than 20 years within performing arts conservatories serving as Dean of Enrollment Services at New England Conservatory, Manhattan School of Music, Boston Conservatory, as well Director level positions with the University of Michigan and SUNY Purchase. With overall responsibility for student recruitment and marketing, curricular program support and advisement, career development and alumni services, financial aid and scholarships, Allison also lead the development of focused programming for international students, campus-wide diversity efforts, and student mentoring programs. 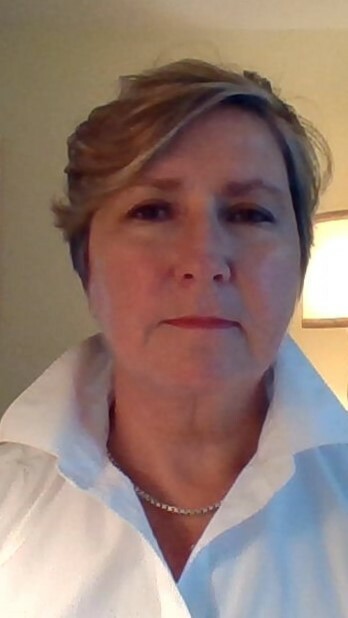 Building on a growing interest in technology and music educational delivery systems, Allison joined Andante.com in 2001 serving as educational consultant and developing partnerships with educational institutions and music program producers across the U.S. and Europe. Following Andante.com, Allison served as the Director of a large, community arts school in New York City that provided performing arts education and performance opportunities for more than 2,800 children and adults. 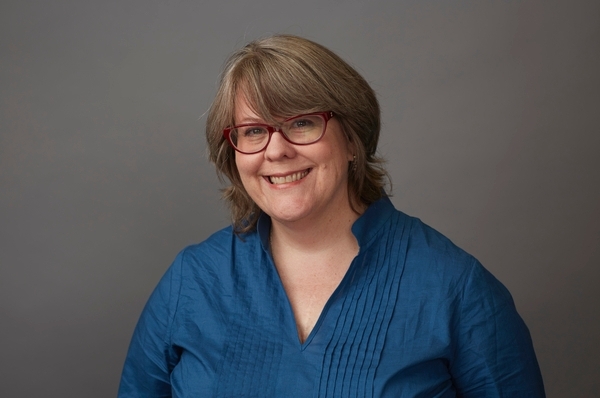 In 2006, Allison joined the League of American Orchestras as Director of Leadership Training and Recruitment, developing professional development seminars, leadership fellowships, and management training for senior and emerging leaders working for professional and community orchestras. In June 2012, Allison became the Director of Education for the National YoungArts competition which identifies and recognizes outstanding high school achievement in the performing, visual, literary and design arts. Her work included building relationships across all arts education sectors and building connections with colleges across the U.S. to provide more learning opportunities for YoungArts applicants and alumni. As of February 2018, Allison is an independent arts consultant working with the Florida International University Communication, Arts + Architecture school. 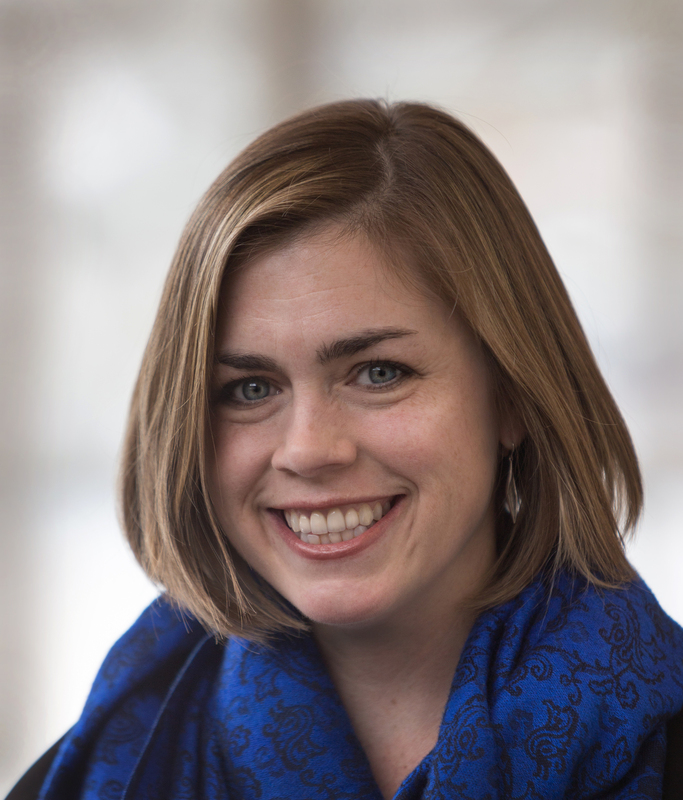 Allison earned Bachelor and Master of Music degrees in piano performance and music theory and has additional professional development study in Fundraising and Philanthropy, Leadership, Organizational Development and Strategic Planning. Peter Castillo has been Principal of Kunsmiller Creative Arts Academy (KCAA) in Denver, CO for eight years, and has watched the school grow from a small K-8 schol to a successful K-12 school, rated ‘Green’ by the Denver School District and Colorado state standards. Under Castillo’s leadership, KCAA has been awarded the "New and Emerging School" award and has earned an Exemplary School designation from ASN. Previously, Castillo was Assistant Principal at the Denver School of the Arts for four years. Over the last twelve years he has seen what arts-based education can do for students of all backgrounds, and he is excited to take his experience to the ASN board. Jackie Cornelius, former executive director of fine arts for the Duval County School District serving over 124,000 students in Jacksonville, FL, is the principal of Douglas Anderson School of the Arts (DA) and has served as a nationally recognized arts education advocate and presenter for decades. Her charge at DA is to provide intensive arts education to talented, passionate students and implement quality arts professional development for teachers district-wide. Over the years, Cornelius has spearheaded numerous financial campaigns to underwrite critically needed arts funding; one such campaign successfully netted over 13 million in state funding for DA, while another secured a half million in private funding for the purchase of arts instruments, equipment, and guest artist programs. She recently implemented a pilot collaboration program among the seven district specialized arts schools; last August the district was awarded a federal arts professional development grant of one million. Cornelius is an active community participant. She is currently a trustee for the Jacksonville Community Music School, a board member of the Cultural Council of Greater Jacksonville, and a member of Jacksonville’s Public Arts Commission Board of Directors. She is a Downtown Jacksonville Rotary member and Leadership Jacksonville Alumni, ’92. Cornelius has served on numerous arts and community boards: the Jacksonville Women’s Network, the Mayor’s Commission on the Status of Women, the Gateway Girl Scout Council, the Mayor’s Insight Committee, the Jacksonville Symphony Education Committee, and Youth Leadership Jacksonville. She is a past president of Uptown Civitans, First Coast Business & Professional Women’s Club, and the Arts Schools Network, and is a past director of the BPW Florida Education Foundation. Under Cornelius’s leadership, Douglas Anderson School of the Arts has received many national and state awards. It has been named a Grammy Gold Signature School, a Florida Distinguished School, a Best Academic High School by Newsweek, a 2009 U.S. News & World Report Best High Schools in America Gold Medal School, and a 2008 Exemplary School by the Arts Schools Network. DA is a National Essentially Duke Ellington High School Jazz Band Competition winner and its theatre department has performed at the prestigious Edinburgh, Scotland Mini Fringe Arts Festival. Cornelius has been awarded the University of Florida’s Distinguished Principal Award, the Florida Times Union News Eve Award, the Florida Alliance for Arts Education Leadership Award, the Florida Association of Administrators 2008 Arts Administrator of the Year Award, the Florida State Thespians 2009 Administrator of the Year Award for Outstanding Leadership, the Jacksonville Arts Assembly Outstanding Arts Educator Award; the Gateway Girl Scout Council Woman of Distinction Award, the Florida Association of Theatre Educators 2008 Outstanding Administrator of the Year, and the Duval Arts Teachers’ Association Outstanding Principal of the Year Award. Dr. Denise Davis Cotton, Ed.D., a Milken Foundation internationally recognized educator, made a historic contribution to Detroit’s educational and cultural renaissance as the principal and founder of Detroit School of Arts (DSA). In June 2006, the Detroit News named her Michiganian of the Year. Her dream of teaching performing arts to inner-city school children evolved to the founding of what many believe will become an icon of cultural education throughout the country. Through Dr. Cotton’s leadership, DSA provided an environment where academics and arts were not only recognized but also revered. DSA gained AYP status and was recognized as a bronze medal school by Newsweek magazine. As a result of her vision and leadership, DSA was named a Blue Ribbon School and received the Kennedy Center Creative Ticket National School of Distinction Award. Although she is now retired from Detroit School of Arts, Davis-Cotton continues to be an advocate for arts integration and arts inclusion along the K-12 academic continuum. Her awards and citations are too numerous to list individually. 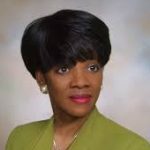 Davis-Cotton earned a doctorate from Wayne State University, a master’s from the University of Montevallo, and a bachelor’s of science from Alabama State University. 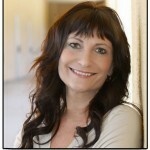 Patricia Decker is the director of recruitment at New York University’s Tisch School of the Arts. She started her career at Tisch in the department of undergraduate drama, first as the internship coordinator, then as the coordinator of the summer high school drama program. After that, she served as the manager of admissions and applicant services for ten years.Decker is also a writer, performer, and producer who has worked in both Philadelphia and New York at venues including the Wilma Theatre, The Annenberg Center for the Performing Arts, Big Mess Theatre, Pennsylvania Ballet, the Manhattan Theatre Club, Theatre Communications Group, Teleotheater, and SPF. She has performed her own work at Dixon Place, CB’s Gallery, and Cornelia Street Café and is on the board of directors of Rabbit Hole Ensemble. Decker, who is also an accomplished tarot card reader, earned her BA in theatre from Temple University. Edward C. (Ted) Farraday, Vice President, Embassy Corporation in Vietnam. Previously, Ted joined Interlochen in June 2008 and is responsible for oversight and leadership of Interlochen’s artistic and academic programs, ensuring that Interlochen is at the forefront of arts education nationally and internationally. He supervises nearly 100 faculty and education staff during the Academy's year, and nearly 350 during the Summer Arts Camp. He also works closely with the student affairs office to integrate residence life, health, counseling and parent services into the artistic and academic program. Prior to coming to Interlochen, Ted spent ten years as director of the Upper School at Miami Country Day School. Previously, he served as academic dean at the Walnut Hill School in Massachusetts and as director of academic affairs at Isidore Newman School in New Orleans. He graduated Phi Beta Kappa from Princeton University with degrees in romance languages and earned a master’s degree in French from New York University. Ted has traveled extensively and has a strong interest in international education. He received an NEH grant and French government grant for language study in France and Guadaloupe. He has also studied in Spain and Ecuador and did additional graduate study at the Sorbonne in Paris. He has been a leader in the National Association of Independent School’s People of Color initiative, and a champion of diversity issues in all of his positions. Ted is a lover of all the arts and has a strong background in music with a huge passion for opera, and a particular interest in nineteenth-century piano concerti. Timothy Farson is the current Principal at the San Diego School of Creative and Performing Arts (SDSCPA), a college preparatory, arts-focused Title I public magnet school for artistically passionate students in grades 6-12 located in Southeastern San Diego. After studying Philosophy at New York University and Kent State University, Mr. Farson earned an M.A. in Philosophy and teaching credentials in English and Science from San Diego State University. He began his educational career as an English and Science teacher at SDSCPA in 2009. Mr. Farson inspires the SDSCPA community through the hope and promise of a transformational art and academic education. With his belief that to engage the mind, we must engage the heart, Mr. Farson has empowered the SDSCPA community to elevate academic and art instruction through (1) the Accrediting Commission for Community and Precollegiate Arts Schools (ACCPAS) comprehensive review process; (2) implementing an innovative arts integrated academic curriculum through the University of California Curriculum Integration (UCCI), where the arts are used as a means to access and lift academic instruction; and (3) calibrating sequential art and academic instruction through Marzano, Warrick, & Simms’ High Reliability Schools: The Next Steps in School Reform. Mr. Farson has also been integral in shaping the Visual and Performing Arts (VAPA) Strategic Arts Plan for San Diego Unified School District (SDUSD), promising equitable access to a high level, arts college preparatory curriculum throughout all SDUSD. 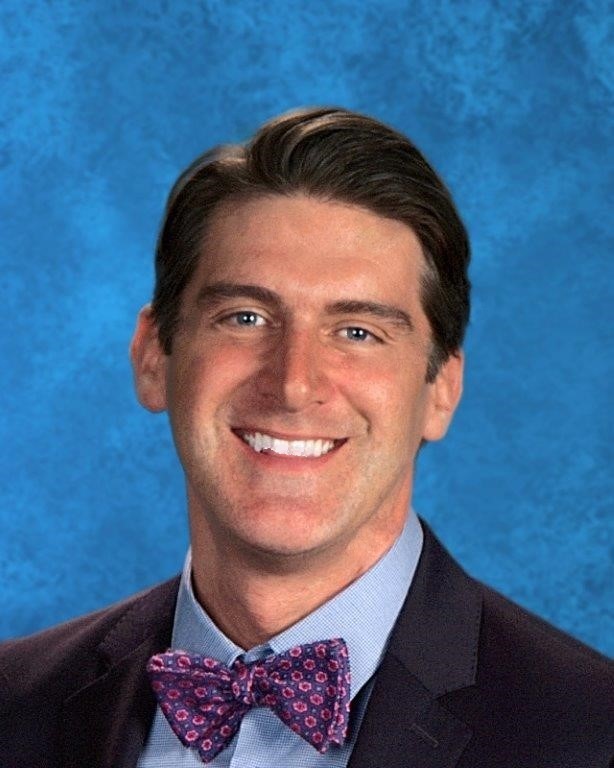 Mr. Farson is excited for the opportunity to join innovative thought partners, leaders, and professionals in discourse through shared beliefs regarding the importance of the arts and education in our society. Mr. Farson is incredibly grateful to the many people who have contributed to his journey as a budding arts leader. 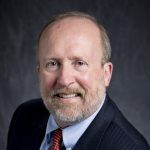 David A. Flatley, is an accomplished non-profit executive with significant experience leading arts and education initiatives with a focus on 21st century learning and professional development. He currently consults with groups nationally in the areas of arts integration, external evaluation, and federal grant writing. He has over 20 years’ experience in developing and implementing educational and intercultural initiatives aimed at improving teacher practice and student achievement. David received his B.S. in Business Administration at the University of Illinois—Champaign, his M.A. in Arts Administration at the University of Wisconsin—Madison, and a Practitioner’s Certificate in Intercultural Communications from the Intercultural Communication Institute. He has delivered a number of international keynote presentations, and is especially proud of his representing the Center for Community Arts Partnerships (Executive Director from 2005 to 2016) when they received the National Arts & Humanities Youth Program Award from Michelle Obama in the East Wing of the White House in 2010. 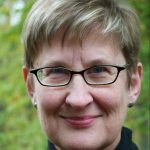 Sally Gaskill manages the Strategic National Arts Alumni Project (SNAAP), the annual survey of arts graduates at Indiana University. SNAAP investigates the educational experiences and career paths of arts graduates nationally. Sally’s career in arts administration and arts education spans three decades. She led the arts councils of Rochester, NY (1993-2000) and Bloomington, IN (2000-2005), and managed grantmaking programs for the National Endowment for the Humanities and the New Hampshire State Council on the Arts. She served as executive director of the Greater Boston Youth Symphony. As a consultant, she developed cultural plans for a number of communities and evaluated over 100 nonprofit arts organizations as a site reviewer for the National Endowment for the Arts. Sally is past president of the Indiana Coalition for the Arts, a nonprofit arts advocacy and lobbying organization. She taught cultural policy at the graduate level for the Eastman School of Music of the University of Rochester and for Indiana University. She is a founding board member of Bloomington’s Cardinal Stage Company and sings with Voces Novae, a chamber choir. Sally received a B.A. in history from Colorado College and an M.A. in arts management from American University, where Valerie Morris was her advisor. Pamela Jordan was appointed President of the Idyllwild Arts Foundation (IAF) in July 2014. Prior to joining IAF, she worked at the Chicago Academy for the Arts (CAA) for twenty-three years, serving as Head of School for thirteen years. Pamela received a Bachelor of Music from Phillips University in Enid, Oklahoma and a Master of Education from Northeastern Illinois University. She has served on the boards of the Independent Schools Association of the Central States, Lake Michigan Association of Independent Schools, and is currently the First Vice President of Arts Schools Network, slated to serve as the President of the Board of Directors in 2016. She has served as a resource panelist to the School of the Arts, Singapore where she also delivered the keynote address for the school’s first bi-annual Arts Forum. Jordan is currently on the faculty of the National Association of Independent Schools’ Institute for New Heads. 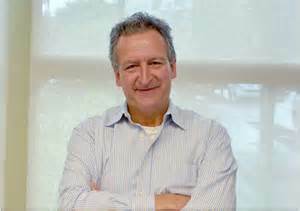 Laurence D. Kaptain, DMA and FRSA, is Dean, of the College of Arts & Media (CAM), Professor of Music, Entertainment and Industry Studies, University of Colorado Denver. He brings 15 years of higher education leadership experience at leading public and private universities to his position. In his brief time at CU Denver, he has helped establish two centers: one for creative technologies and the other for arts and systemic change. He has also been named to the National Advisory Board of the Strategic National Arts Alumni Project (SNAAP), the Board of the Denver School of the Arts Friends Foundation, and is a voting member of The Recording Academy. Dr. Kaptain served as the Director of Creative Initiatives in the Office of Research and Economic Development and Paula Manship Professor of Music, and prior to that, Dean of the College of Music and Dramatic Arts and Penniman Family Professor of Music at Louisiana State University from 2009-14. 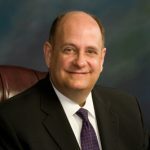 Prior to assuming this post at LSU, he was Dean of Shenandoah Conservatory (near Washington, DC), Director of the heralded Schwob School of Music in Georgia, and Associate Provost for Faculty Programs and Academic Quality at UMKC. At Shenandoah Conservatory he awarded honorary doctorates to famed dancer/choreographer Mikhail Baryshnikov, journalist David Pogue, pianist John O’Conor, and Tony Award Nominated Actor, choreographer Murray Lewis and Independent Film Director, Producer, and Writer J. Robert (Bobby) Spencer. He received the first doctorate in percussion instruments at the University of Michigan, where he was a Fulbright Scholar to Mexico and received the prestigious Rackham Graduate School Pre-Doctoral Fellowship. His other degrees are from the University of Miami and Ball State University. Laurence Kaptain appears regularly with orchestras, including the New York Philharmonic, The Chamber Music Society of Lincoln Center, the Philadelphia Orchestra, the San Francisco Symphony, Pittsburgh Symphony, and has recorded with the Chicago Symphony, St. Louis Symphony, St. Paul Chamber Orchestra, and the Czech National Symphony. He has also appeared, collaborated or recorded with artists such as Elvis Costello, Yo-Yo Ma, Karlheinz Stockhausen, Robert Altman, Rudolf Nureyev, Suzanne Farrell and others. His recording of Stravinsky works with New York’s famed Orpheus ensemble won the 2001 Grammy Award for Small Classical Ensemble. 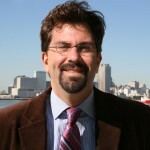 William Kohut was appointed Principal of the Denver School of the Arts in May of 2009. Denver School of the Arts is a 6 -12th grade Magnet school for the Arts in the Denver Public Schools. Denver School of the Arts has been recognized as one of the top high schools in America by US News and World Report having been granted the distinction of being a “Gold Medal” winner for four straight years. Denver School of the Arts was also named a Distinguished “Blue” School in Denver Public Schools and was designated an “Exemplary Arts School” by the Arts Schools Network in October 2014. Mr. Kohut served as the principal of South High School, a National AVID Demonstration School for 8 years. 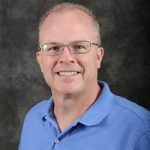 He holds a Bachelor of Music Education Degree from the Lamont School of Music at the University of Denver, and an MA degree in School Administration from the University of Phoenix. Bill has taught in and served as an administrator in many diverse environments. The schools he has served range from rural schools to a magnet school for English Language Learners. In addition to his service in the public schools, Mr. Kohut served as an adjunct instructor of Music Education at Metropolitan State University for eight years. His musical background includes serving as the Music Director of the Denver Community Concert Band and as Assistant Conductor of the Colorado Youth Pops Orchestra (he conducted this orchestra as the opening act for the Boston Pops Orchestra, led by Keith Lockhart in a National Holiday Tour in 1996). 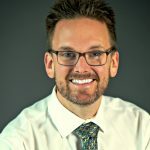 His arts leadership experience includes serving on the Colorado Department of Education Fine Arts Advisory Council and serving on the task force that authored the first version of the Colorado Model Content Standards for Music. He continues to be an active member of the Board of Directors for the Colorado Music Educators Association and the Arts Schools Network. 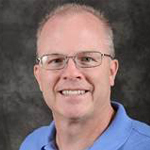 Mr. Kohut has presented numerous sessions focused on music education and school leadership at state and national conferences. 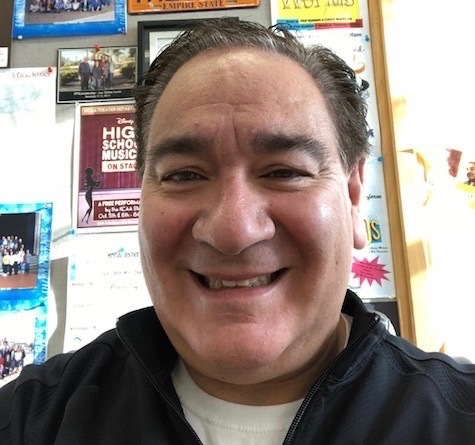 Since 2005 Mr. Kohut has served on the Colorado High School Activities Association State Music Committee and served in the role of chair from 2002‐2004. In addition to his art experience, Bill also has a broad base of leadership experience as an administrator having actively worked as a partner with the College Board to implement a strong college readiness system at South High School and bringing South High School to national recognition as a national “AVID Demonstration” school. Through his leadership in the arts, he has been recognized as the Colorado State Thespian’s “School Administrator of the Year”. He received the Colorado Music Educators Association Honored Administrator Award in 2012. The National Federation of High Schools awarded him the Outstanding Music Educator Award as recognition for his leadership in the Arts in 2012. Andrew Laue, Associate Director – Fine Arts Admissions, Webster University, St. Louis, MO, oversees recruitment coordination for the Leigh Gerdine College of Fine Arts, which includes marketing outreach, strategic planning, summer programs, and facilitation of the audition and portfolio review process. His college admissions career spans nearly 30 years, and includes work in the areas of accessibility, student persistence, and curriculum offerings. Andrew is a regular presenter at the local, state, and national level on the topic of best practices in the college search process for students interested in the fine and performing arts. This includes organizations such as The College Board, IECA, NACAC, and various state and regional ACAC affiliates. In addition, he is the City Representative for the NACAC St. Louis Performing and Visual Arts College Fair, held at Webster each fall. John Lawler, has had a lengthy career in the arts. He is an award-winning director and writer, with stage, opera, film, and television projects in New York, Los Angeles, London, Munich, and elsewhere. He was the founder of the award-winning Annex Theatre in Seattle, has been a Guest Artist at Sundance, the Eugene O’Neill Center, and the Williamstown Theatre Festival, and received two writing awards at the Austin Film Festival. Mr. Lawler is the principal and founder of ArTES, recipient of a California Gold Ribbon School award and designated as an Arts Schools Network Exemplary Arts School. Working with the California Institute of the Arts and the Huntington Library, he co-founded the Arts Consortium, a non-profit organization tasked with facilitating deep partnerships between arts institutions and schools. In 2016, Mr. Lawler was honored as the Administrator of the Year for Los Angeles Unified School District, and is proud to be named to the Board of the Arts Schools Network. Jonathan Lindsay recently joined New Hampshire Institute of Art as Vice President of Enrollment Management. While not an artist himself, Jonathan enjoys being around creative people and has spent much of his career on the campuses of art schools including the School of the Art Institute of Chicago, Columbus College of Art & Design and the Cornish College of the Arts. His interest in higher education and in the arts was spawned by two seminal experiences in college. Jonathan first came to the United States from England as a high school exchange student. He attended Cranbrook School in Bloomfield Hills, Michigan, for a semester and traveled the following summer. He enjoyed both experiences so much that he decided to attend college in the States rather than in England. It was at National College of Education, just outside Chicago, that he was assigned work-study jobs in the Financial Aid Office and the Performing Arts Office which led to lifelong interests in higher education and in the arts. Upon graduating, Jonathan was offered a job in the Financial Aid Office and, several years later, he joined the School of the Art Institute. Over the years, Jonathan has played various roles in Admissions, Financial Aid, Finance, IT, Marketing and Student Accounts. Of particular interest to Jonathan is the potential of growing the relationship between the college and the city of Manchester. Manchester offers the college many opportunities and vice versa. Jonathan attended his first ASN conference in New York and actually hosted the 2015 ASN conference in Seattle. (Ask him how that happened!!) He is looking forward to working with the organization to assist students who wish to pursue a degree in the arts. 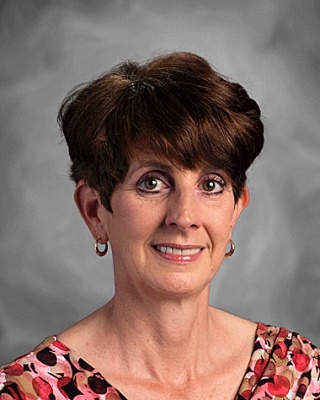 Susan McCauley, DSA Principal, is a native of Wichita, Kansas, and is in her 35th year in education. Mrs. McCauley is a graduate of Wichita State University where she earned a Bachelor of Music Education. Before moving to Georgia, she was a strings specialist for the Wichita Public Schools. Mrs. McCauley earned her Masters and Specialist degrees in Leadership and Administration from Columbus State University, Columbus, GA (1998 and 2001 respectively). In 2001, Mrs. McCauley was recognized as the Outstanding Educational Leadership Student in the Educational Specialist Program at CSU. Upon moving to Georgia in 1990, Mrs. McCauley taught orchestra in the Clayton County School District. As an orchestra director, she worked with students from grades 6-12. In addition, Mrs. McCauley was the co-director of the Clayton County Honor Orchestra from 1992-1999. Under her direction, the CCHO performed at the Georgia Music Educators’ Association Conference and the Southeastern Music Educators’ National Conference. In 1999, Mrs. McCauley became the Instructional Lead Teacher at Adamson Middle School in Clayton County. She then served as an assistant principal at Adamson during the 2001-2002 school year. Mrs. McCauley was appointed principal of DeKalb School of the Arts in July 2002. In 2006, 2007, and 2008, she was recognized as one of Georgia’s 100 High-Performance Principals by Governor Sonny Perdue. The DeKalb County School District School Counselors' Association honored Mrs. McCauley as Administrator of the Year in 2010. The Georgia Arts Education Association, in Fall 2012, selected her as Supervisor/Administrator of the Year. Mrs. McCauley is also a graduate of the Leadership DeKalb Cohort (Class of 2012) and current member of the 2018 cohort of Arts Leaders of Metro Atlanta (ALMA). During her tenure at DeKalb School of the Arts (DSA), the school has regularly appeared on all top national ranking lists for high schools and magnet programs. DSA is consistently recognized as AP Access and Equity School by the College Board for providing minority students with access to Advanced Placement courses and for the achievement of those students. DSA has been recognized as a Grammy Signature School and Woodruff Arts Center Leader in Arts Education. In 2016, DSA was recognized by the Arts School Network (ASN) as an Exemplary Status School. Mrs. McCauley has served as a private cello instructor, large group and solo/ensemble adjudicator, orchestra clinician and summer music camp instructor during her education career. Even as an administrator, Mrs. McCauley is actively involved in the arts. 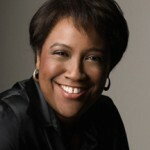 She was founding member and cellist in the Southern Crescent Quartet which performed throughout the metro-Atlanta area. Mrs. McCauley was a founding member and former assistant conductor of the Southern Crescent Symphony Orchestra. Susan McCauley is married to Michael McCauley who teaches English in the DeKalb County School System. The McCauleys enjoy traveling, boating, reading, hiking, and spending time with pets. Michael Meeks, Ed.D. is in his fifth year as Executive Director of the Alabama School of Fine Arts. His long-term plans as ASFA’s executive director are still a work in progress, but he is committed to raising the visibility of the state’s magnet school for Fine Arts, Math & Science. His priorities include improving capacity and increasing financial stability in statewide funding while celebrating the very unique convergence that ASFA offers between arts and sciences. Citing a growing body of research and general interest in the relationships between the two areas, there are many instances of the arts commenting on science, and sometimes even leading the way. Meeks’ vision is for ASFA to serve as a focal point in that celebration. Taking the job at ASFA was a homecoming of sorts for the lifelong musician and educator. Meeks is a graduate of Samford University and holds both the MA and Ed.D. in music education and educational leadership from The University of Alabama. He taught choral music for grades 7-12 for 12 years in Jefferson County Schools, then served as both high school choral director and K-12 Music/Arts Administrator for Bessemer City Schools. His choirs earned consistent Superior ratings at District and State festivals and received invitations to perform at state, Southern Division and National ACDA and MENC conferences. Meeks became an associate professor in the University of Montevallo’s Department of Music, Teacher Education Program, from 1990-1999. He also founded Birmingham’s Cahaba Chorale, the University of Montevallo University Chorus, and in 1977-78 he co-founded the Birmingham Boys Choir. In addition to being active in the State School Board and School Superintendents Associations, he is a member of the Birmingham Metro Diversity Coalition, Birmingham Business Alliance, Birmingham Kiwanis Club, the Alabama Symphony Orchestra Volunteer Council, and Asbury United Methodist Church. He is a 2015 founding member of CLASS (Coalition of Leaders for Advanced Students Success), an affiliate of the Jack Kent Cooke Foundation. Previously, Dr. Meeks served as District Program Administrator for Georgia’s DeKalb County School System for over a decade and was named the state’s Administrator of the Year in 2011. DeKalb County Schools, serving more than 100,000 students across 131 institutions, were named among the Top 100 Communities for Arts Education and Music Education in the country by the U.S. News and World Report and the National Association for Music Merchants (NAMM), due in part to Meeks’ commitment to the arts and academia. In addition, Meeks has extensive non-profit experience, having served on the boards of numerous Georgia arts and education organizations, including the Woodruff Center for the Arts, Spivey Hall Education Board, High Museum and the Atlanta Symphony Orchestra Education Advisory Committees. Valerie B. Morris received her M.A. in Speech (Theatre Administration emphasis) from the University of Michigan, Ann Arbor, and her B.A. in Speech Arts from American University. She has been the Dean of the College of Charleston’s School of the Arts since the fall of 1998. As the Dean, she oversees the Departments of Art History, Music, Studio Art, and Theatre (which houses the minor in Dance) and programs in Arts Management plus Historic Preservation and Community Planning. Prior to joining the College of Charleston, Dean Morris was the Chair of the Department of Performing Arts at American University in Washington, D.C., where she was the founding director of that institution’s Arts Management Program. Dean Morris is involved in several national, statewide and local organizations. She is a former board member of the International Council of Fine Arts Deans and the Rotary Club of Charleston, and she is a mentor for the Association of Theatre in Higher Education’s Leadership Institute. Dean Morris is a member of the Steering Committee for South Carolina’s Arts in Basic Curriculum program, serves on the board of the South Carolina Arts Alliance, and is the immediate past president of the South Carolina Alliance for Arts Education. She is a board member of the Charleston Concert Association, the Charleston Jazz Initiative, the Free Enterprise Foundation, and the Charleston Symphony Orchestra. Linda Nathan, Executive Director of the Center for Artistry and Scholarship is the first executive director of the Center for Artistry and Scholarship and has taught at the Harvard Graduate School of Education for fifteen years. Dr. Nathan served as founding headmaster of the Boston Arts Academy (BAA), Boston’s only public high school for the visual and performing arts. She also founded and directed the Center for Arts in Education, an arm of BAA that serves the outreach, professional development, and arts advocacy needs of the school. 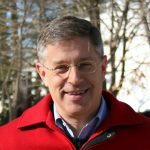 Dr. Nathan was the co-director of Fenway High School for fourteen years and founded two nonprofit organizations: El Pueblo Nuevo (arts and youth development) and the Center for Collaborative Education (school reform issues). She is also the co-founder of the Perrone-Sizer Institute for Creative Leadership and serves on numerous nonprofit boards both locally and nationally. Nathan is the author of The Hardest Questions Aren’t on the Test. Scott Rudes, Ph.D., is currently the principal of Booker T. Washington High School for the Performing and Visual Arts in Dallas, TX. BTWHSPVA has been ranked one of the top eight magnet schools in the country and has a record 23 US Presidential Scholars in the Arts since its inception in 1976. As one of the top arts high schools in the country, students are well prepared for the top universities and conservatories throughout the world. Some of the notable alumni from BTW include Nora Jones, Erikah Badu, Roy Hargrove, and Edie Brickell. Rudes also serves as a board member of Arts Schools Network, an organization which supports specialized arts programs, educators, and leaders. Prior to his appointment at BTWHSPVA, Dr. Rudes served as the principal at Orange Grove Middle Magnet School of the Arts in Tampa, Florida. During his tenure, Orange Grove was recognized by the state of Florida as an Arts Achieve! Model School, and received the Exemplary Schools designation from the Arts Schools Network. Dr. Rudes was also recognized by the Florida Alliance for Arts Education (FAAE) as the Arts Administrator of the Year for 2012 and received the Denise Davis-Cotton Emerging Leader Award from the Arts Schools Network as well. In 2013, he was recognized by the Broadway Educator League with the League Educator Apple Award, which acknowledged his work in bringing together arts organizations in the Tampa area to improve arts education experiences in the K-12 spectrum. 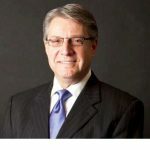 Rudes has served as the President of the Florida Orchestra Association (FOA) as well as President of the Florida Network of Arts Administrators (FNAA). Melinda Zacher Ronayne is the Director of Visual Arts at the Interlochen Center for the Arts. Ronayne joined Interlochen in August 2010 and leads all aspects of visual arts education at the Interlochen Arts Academy and Camp, including the management of a 1,500 sq. ft. professional gallery and visiting artist program. 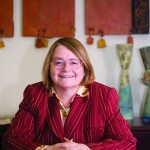 Over the years, Ronayne has overseen the redesign of the visual arts curriculum and assessment system; the creation of a service learning in the arts program, including a partnership with the Munson Medical Center, and several large collaborative projects with other arts and academic divisions. Ronayne has developed and implemented several new visual arts Camp majors including High School Experimental Fashion, Intermediate-Advanced Drawing and Painting, the Junior Visual Arts Major for ages 8 – 13, and two week-long Institutes in Precious Metals and Experimental Drawing and Painting. Ronayne has been named a Distinguished Teacher for the U.S. Presidential Scholars Program. Over the last ten years, her students have consistently been Finalist recipients in the National YoungArts competition, Gold Medal recipients in the National Scholastics Art and Writing Awards and she has taught two Presidential Scholars in the Arts and seven Presidential Nominees. Prior to coming to Interlochen, Ronayne taught AP 2D and AP Drawing at the Design and Architecture Senior High School in Miami. While at DASH, she served in a program that brought high-level arts instruction to inner-city youth at the Miami Edison Senior High School in Little Haiti. Ronayne has worked as an admission counselor and the coordinator of scholarship programs at the Maryland Institute College of Art and has taught International Baccalaureate Studio Art at Forest Hill High School in West Palm Beach, FL. She is a regular presenter at the state and national level on the topics of arts and health, service learning in the arts, collaboration and portfolio development. This includes conferences for the Arts Schools Network, the National Art Education Association, the Michigan Art Education Association, and the Innovation & Entrepreneurship: Leading Ethical Improvement in Healthcare Symposium at the McCombs School of Business in Austin TX. Ronayne is actively involved in her local community as well where she serves on the Board of Trustees for the Great Lakes Children’s Museum and volunteers at the Cowell Family Cancer Center. Ronayne is an interdisciplinary visual artist. She received her MA in Arts Education and BFA in general fine arts from the Maryland Institute College of Art. Ronayne lives in Traverse City, MI with her husband Justin and two daughters, Quinn and Sadie. Teren Shaffer, Dean of Arts Conservatories at the Orange County School of the Arts (OCSA), is a highly lauded educator, conductor, and arts manager, winning prestigious awards, such as The Kennedy Center’s Stephen Sondheim Inspirational Teacher Award, Arts Schools Network Dr. Denise Davis-Cotton Emerging Leader Award, Stanford University Exceptional Teaching Award, Orange County Department of Education’s Outstanding Arts Educator and first prize winner of The American Prize in Conducting. At the Orange County School of the Arts, he is the dean of arts and the music director of its internationally-acclaimed Frederick Fennell Wind Ensemble. Shaffer led the ensemble on to become a finalist in The American Prize for Wind Ensemble Performance and to present a concert at the Music for All National Concert Band Festival. In 2014, the ensemble was the first band from Southern California to perform at the Midwest Clinic. The Midwest Clinic International Band, Orchestra, and Music Conference is the largest event of its kind, a meeting place for over 17,000 attendees from more than 30 countries. An invitation to perform at the Midwest Clinic is the highest achievement to which any band or orchestra can aspire. 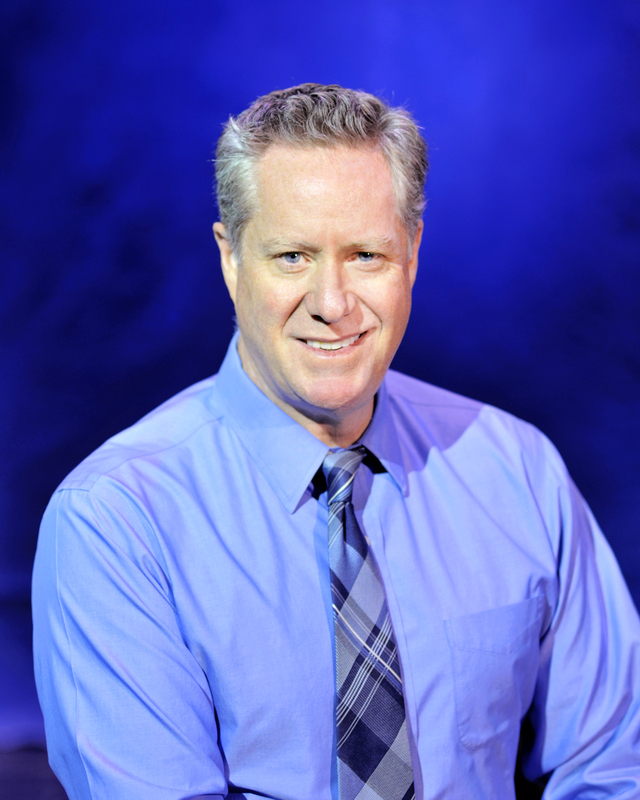 As dean of arts at OCSA, Mr. Shaffer oversees 20 arts conservatory programs, including over 250 arts teachers, and he serves on the school’s administrative team. Launched in OCSA’s 30th Anniversary Season, Mr. Shaffer has assisted in facilitating a Master Artist Series with collaborative performances, masterclasses, and residencies with internationally-acclaimed artists, such as: Wynton Marsalis, Deborah Voigt, Joshua Bell, Lythgoe Family Productions, Spencer Liff, Ali Stroker, and Matthew Morrison. 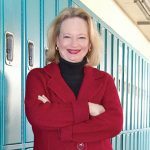 Shaffer is the General Manager of the Orange County Youth Symphony Orchestra and serves on the national board of directors for Arts Schools Network. Shaffer holds a master’s degree in orchestral conducting from the Cincinnati Conservatory of Music and bachelor’s degrees in instrumental conducting, bassoon performance and music education from Chapman University’s Conservatory of Music. Originally from Wilmette, IL, Michael Wang has seen first-hand the disparities prevalent in Illinois public schools. 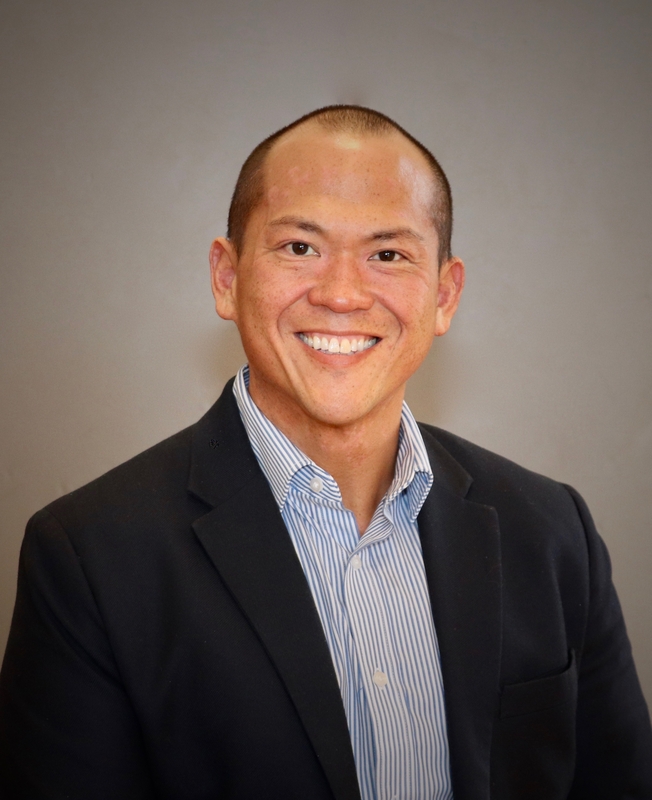 After receiving his Bachelor of Arts in Biology from Northeastern Illinois University, Mr. Wang pursued a career in urban education through a Masters of Education in Educational Leadership from DePaul University. Mr. Wang has been with ChiArts since 2010, serving in numerous roles including Biology Teacher, Freshman Academy Coordinator, Assistant Principal for Operations and Management, and now, Principal. In his current leadership role, Mr. Wang is focused on fostering an inclusive school culture within ChiArts’ highly diverse student body. With approximately 50% low-income students, he has restructured the school’s support services in order to ensure ChiArts scholar-artists comprehensive counseling in academics, emotional support, and in post-secondary opportunities. He works to provide access to resources in the arts academics in order to move beyond diversity, into equity in the arts community of Chicago. 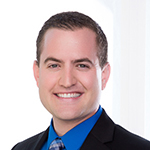 Kyle Wedberg has a professional career that has focused on education and public service. His career began as a City Year AmeriCorps volunteer in Boston, MA. After graduate school, he was a Senior Budget Analyst for the Office of Budget and Management for the City of Chicago. He was then recruited to the School District of Philadelphia where he served as Deputy Chief Financial Officer. Kyle then returned to City Year to help lead new site development and the start of City Year Louisiana (where he fell in love with New Orleans), City Year Johannesburg, and City Year Los Angeles. Kyle embraced the opportunity to move to New Orleans and took a leadership role in the Recovery School District where he served as Chief Administrative Officer. While working at the RSD, Kyle visited and was inspired by NOCCA-the performing and visual arts high school for the State of Louisiana- where he now has the privilege to serve as President and Chief Executive Officer. In his spare time he enjoys being with his wife Michelle and son Waylon above all else; traveling the state; and experiencing the arts, sights, sounds, food, culture, and sports (especially the Saints) of New Orleans and Louisiana. Kyle has had the privilege to perform artistically as Heck Tate in the NOCCA Stage Company production of To Kill a Mockingbird and as the Narrator for the Louisiana Philharmonic Orchestra’s production of Peter and the Wolf. 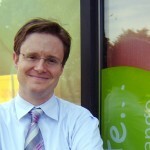 He has a BA from St. Olaf College and an MPA from the University of Massachusetts at Amherst.